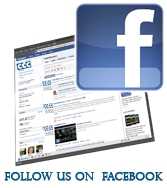 CDC can design and carry out both qualitative and quantitative studies, based on the need and resources of the client. CDC partners with academic institutions in both developed and developing countries to carry out the studies. We have partnered with universities in Niamey, Kinshasa, Paris, as well as with NGO’s in Sudan to implement studies mainly for UNICEF dealing with health seeking behavior of rural women as well as knowledge and attitudes towards polio. 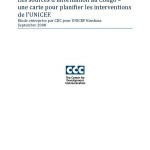 The studies were commissioned to help re-design programme interventions. CDC can carry out learning needs assessments as well as feasibility studies. In partnership with the UN System Staff College (UNSSC) based in Turin, CDC conducted a feasibility study to assess learning needs in the UN for strategic communication. The study included semi structured interviews with senior officials as well as the administration of a questionnaire to UN staff posted in the field. The results of the study were used to design the communication courses currently being taught at the UNSSC. 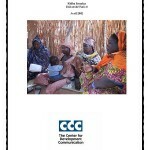 CDC also does secondary analysis of existing communication research. 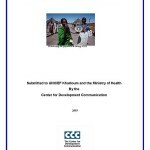 A desk review was carried out by CDC for UNICEF in the Middle East and North Africa covering more than 30 studies undertaken in C4D by several countries in the region. 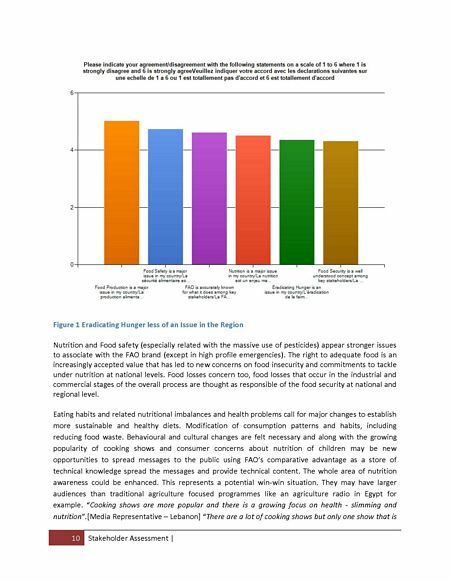 The study identified gaps in the field and provided some strategic guidance towards conducting such studies in the future. CDC included key indicators related to the equity agenda namely: Societal norms; Availability of adequately staffed services, facilities and information; and Cultural practices and beliefs) and achieving task-shifting towards more community ownership. 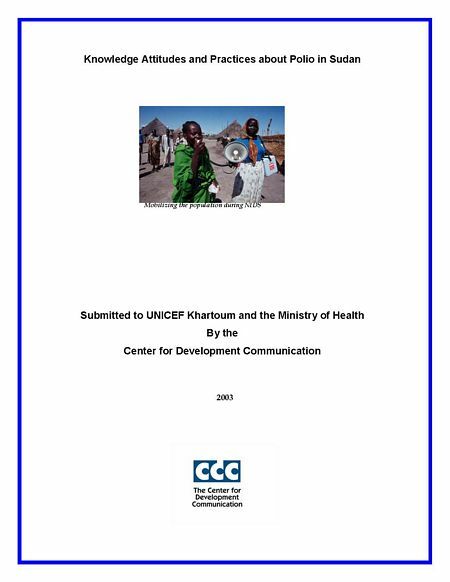 A two phased study on Knowledge Attitudes and Practices about Polio was carried out during 2002, in order to help UNICEF and the Government of Sudan make appropriate strategic choices in terms of communication. The study was carried out by the Center for Development Communication, using resources from within the region and in the country. As part of redesigning the communication strategy for UNICEF MENA, the Center for Development Communication was commissioned to help undertake an opinion poll on perceptions about UNICEF in the Middle East and North Africa region. The purpose of the survey was to help determine the level of recognition of the UNICEF brand name: awareness and familiarity; and to gather information on perception, knowledge and comprehension about the organization and what it does. In other words, does the public know what UNICEF does? And that it is part of the UN system? The survey was conducted in 9 countries in the Middle East/North Africa region and measure perceptions of the organization through questions placed in existing OMNIBUS surveys. 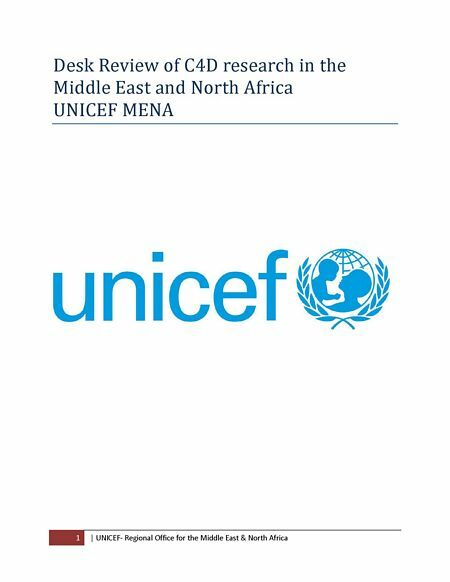 A desk review was carried out by CDC for UNICEF in the Middle East and North Africa covering more than 30 studies undertaken in C4D by several countries in the region. 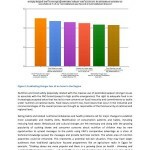 The study identified gaps in the field and provided some strategic guidance towards conducting such studies in the future. CDC included key indicators related to the equity agenda namely: Societal norms; Availability of adequately staffed services, facilities and information; and Cultural practices and beliefs) and achieving task-shifting towards more community ownership. 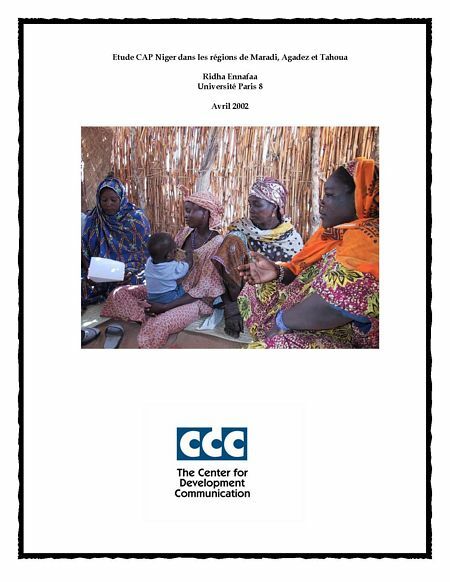 The overall objective of this study was to deepen the understanding of the knowledge, attitudes and practices of the population compared with their credible sources of information, and to propose strategies of Communication for development at the community level. 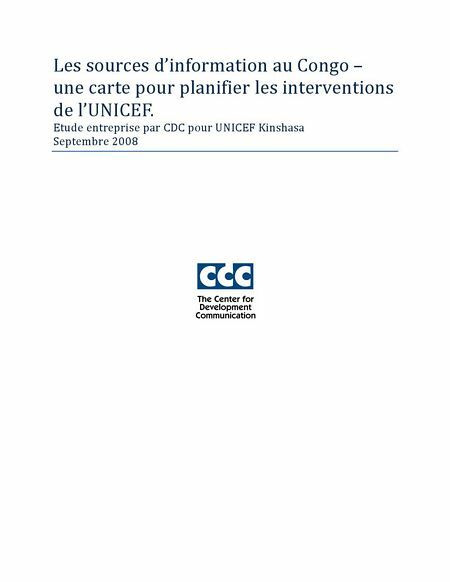 The study was carried out in collaboration with the University of the Congo. – Rapid assessment of current attitudes among a selection of stakeholders towards climate change (to help the design of a communication programme that was submitted to the Global Environment Facility (GEF) for funding). 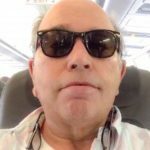 Stakeholder Assessment for Strategy Design including research brief, and all research instruments as well as analysis preparing top lines and final report.